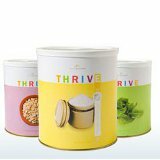 A 6 BUCKET of Thrive Instant Milk with a gamma lid for just $85.29! That is 437 servings (1 cup) 28 pounds of real milk that you family will be happy to drink and for almost 1/2 the price of buying it in a #10 can!! The size on sale is the bucket so pay attention when you are checking out. This is an unadvertised special and subject to availability. If you are a Q customer. 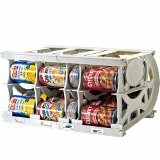 This sale item can be added to your Q.